Azizi’s automotive data collection and distribution system, ‘Dealer Manager’ uses bespoke software to deliver quality images and accurate details about your vehicles to your consumers via a range of online channels. 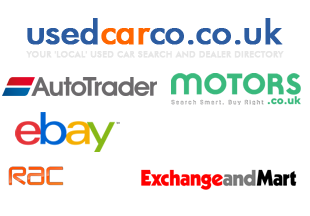 Our system decodes the vehicle registration number giving an accurate and detailed description of the vehicle by linking the information to technical specification data and it automatically search engine optimises the vehicle results with the relevant organic search terms for that vehicle making it a superb choice for your website stock page and online marketing solution. Used Car Videos can be uploaded to our system to show your website visitors videos of every car in your inventory, highlight the most appealing features of each vehicle, and tailor each video to suit your dealership’s unique style. These videos are then re-promoted via a number of online portals to increase opportunities to be seen. All videos uploaded to the system are uploaded to our own YouTube channel, and optimized for the search terms to pull in the most traffic. If you have any questions regarding our services, please do not hesitate to call on: 01942 22 19 19 or you can request a call back at a time convenient to you.